Our back-end online billing control panel can be setup in other languages as well. You can automate your client payments using merchant services so that clients can pay and recharge their accounts in real time. You can setup the invoices to auto charge their credit cards when bill comes due as well. We can setup automatic online sign-up form to work with your merchant processor. We can also support other languages on our Interactive Voice Attendant. Please select your Private Brand VoIP Plan (to the right) based on your technical skills and the services you wish to sell by clicking on the links "Learn More". Just buy minutes by clicking on HELP CENTER. Register your email and submit a ticket to PRE-SALES DEPT. We will guide through the setup. Setup your mobile office with your own voice mail, auto attendant, call queues and dids. You can initiate the callback via a web page or link in email. Once our server receives the request, it will respond by calling you back to your phone or mobile phone and to the destination or office number where you want your customers to call you. You can provide your agents or distributors online web control panel access to your server so they can manage the pins or accounts they are selling on your behalf. We can setup the commissions to be calculated based on the sales. The EZ Web Subscription API is available as an add-on to all our packages. This online signup script will automatically create users and email them the password under your private label reseller name. Users can then log into our Web Control Panel and recharge their funds, check call details record and manage their services online. You can link this to your existing website for E-Commerce sales. You must have an approved bank merchant account for the API to work. You must have a reseller package already setup with us. You can purchase our services ala-carte when using our hosted Cloud VoIP Switch. Please contact Help Center for details. No minimum commitment. Please contact Help Center. Full Back-end Web Control Panel Access. No minimum commitment. Sell calling cards and call shop. Full Back-end Web Control Panel Access. No charges for extensions. You only pay for your dids and outbound usage. Full Back-end Web Control Panel Access. Create custom unlimited plans, hosted Porta Web Control Panel with integrated Online Signup Wizard and offer hosted pbx services with phone numbers -requires basic knowledge of Porta Customer Management. We can integrate with approved online payment processor. Additional Cost for custom Front-End Website Development. We can setup your routes on our Globalink VoIP Soft Switch and use Globalink VoIP Soft Switch for billing and retail voip services. Managed Service Support Plans are available under Worldkom.Net. Rent our Globalink PortaBilling VoIP Switch and use your own routes. Our Unified Messaging includes hosted pbx, auto attendant and fax services with your own business phone number. Review the ABOVE Reseller Plans to choose the one that fills your needs. 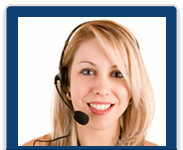 Please click on HELP CENTER to purchase our services.